Most mornings when I apply makeup, my main goal is to appear well-rested and bright-eyed; I suspect the same could be said of most women. So it should come as no surprise that there's now a line which makes this concern its primary focus: the Almay Wake-Up Collection. 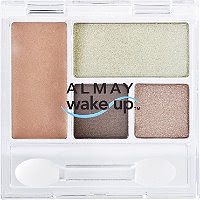 Featuring a bevy of multitasking products infused with a touch of caffeine to energize tired skin, the Wake-Up Collection is supposed to make early morning makeup applications a cinch, and send you on your way looking peppy and naturally pretty. 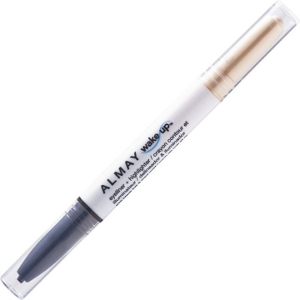 Plus, like all of Almay's products, their newest offerings promise to be hypoallergenic and ophthalmologist-tested. But how does the Wake-Up Collection stack up in real life? On a day where I had be at work for an 8:30am meeting, I took it for a test drive to find out. The Blush + Highlighter combo gave me a rosy glow and luminous skin with just one product. The surprisingly soft angled brush and slide-out instruction pamphlet under the compact made the recommended one-swipe application technique a breeze, although I also did some slight blending for a more natural look. Of all the products in the Wake-Up Collection, the Eyeliner + Highlighter disappointed me most. I like the concept of a double-duty product, but the eyeliner smudged on my oily eyelids and didn't stay put at all. 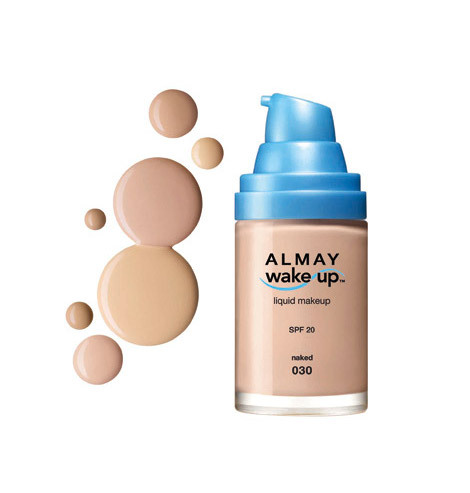 The Liquid Makeup is supposed to boost hydration in skin by 132%, refresh a tired complexion with its touch of caffeine, and provide SPF 20 sun protection. That being said, I'd still recommend wearing it on top of another moisturizer and under an SPF powder. The needlenose pump dispenser made it easy to dispense just the right amount of product, which was good because a little bit provided enough coverage for my entire face. The Eyeshadow + Primer gets brownie points for its clever packaging and ease of use. Everything you need is in one little palette, from slide-out instructions to an applicator and a primer that dries to a velvety finish. The colours are pigmented enough to define the eyes without looking too vampy for daytime. Overall, I liked how the packaging in the Wake-Up Collection provided everything I need for early morning or on-the-go makeup application, as well as the performance of the products themselves. 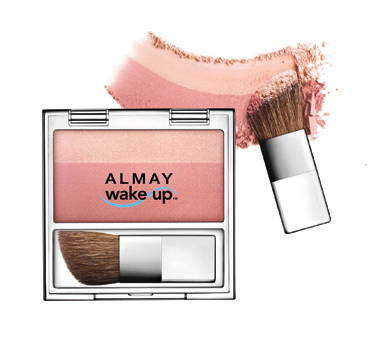 The Almay Wake-Up Collection is now available at London Drugs.